Does Tourette's Syndrome Have Adaptive or Evolutionary Benefits? Tourette syndrome, and the closely related spectrum of tic disorders, are inherited neuropsychiatric conditions characterized by the presence of repetitive and stereotyped movements. Tics are elicited by either environmental experiences or internal signals that instruct the basal ganglia to initiate automatic or procedural movements. In most vertebrates the basal ganglia encode instructions for habitually used sequences of motor movements that are essential to survival. Tic disorders may represent evolved phenotypes with a lower threshold for basal ganglia-directed actions. This may have produced a susceptibility to extraneous tics, but also produced fast-acting tactical solutions to immediate physical problems. 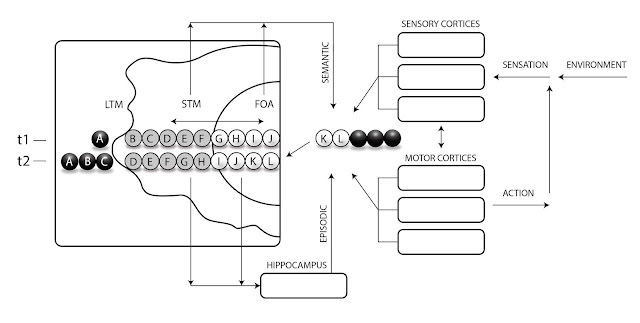 During periods of nonstop movement, continual foraging, and sustained vigilance, it may have been advantageous to allow subcortical motor commands to intrude into ongoing motor activities. It is clear that the engrams for individual motor responses held in the basal ganglia are selected by converging cortical and subcortical inputs. 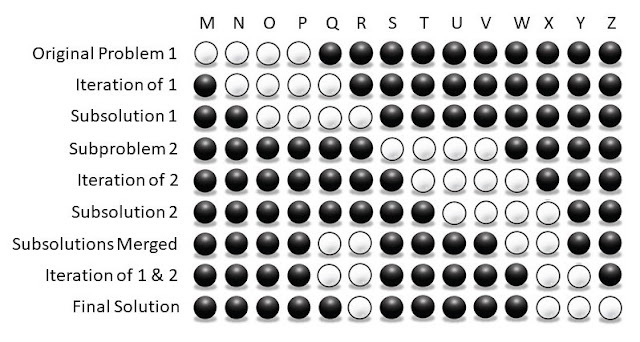 This form of convergent action selection results in the selection of the most contextually reinforced actions. Today people with Tourette’s have tics that seem arbitrary and inappropriate; however, this may be due to the vast discrepancies in reinforcement between the ancestral environment and the modern one. In prehistoric environments, the motor behaviors of individuals with tic disorders may have been appropriate in environmental context, and had ecological relevance in survival and self-promotion. Tourette syndrome (TS) is an inherited neuropsychiatric disorder characterized by multiple sudden, repetitive, nonrhythmic motor movements called tics. Motor tics include unplanned, stereotyped movements such as eye blinking, facial twitching, and head, arm, hand or shoulder movements. Phonic tics include noises, syllables, words and phrases. Some tics are highly conspicuous, whereas other can be very subtle and masked. Tourette’s is defined as part of a spectrum of tic disorders, which includes both transient and chronic tics, most with prepubertal onset. Although individuals with TS have been described since antiquity, the systematic study of individuals with tic disorders began in the nineteenth century . Only a few decades ago Tourette syndrome was considered a rare and bizarre syndrome, most often associated with the exclamation of obscene words (coprolalia), socially inappropriate remarks, mimicking, and derogatory gestures . However, none of these behaviors are universal. In fact, the most well-known symptom, coprolalia, only occurs in about 10% of cases . The DSM-5 recognizes three types of tic disorders: Tourette’s disorder, persistent motor or vocal tic disorder and provisional tic disorder. The diagnostic criteria for Tourette’s in the DSM-5 are: A. Both multiple motor and one or more vocal tics have been present at some time during the illness, although not necessarily concurrently. B. The tics may wax and wane in frequency but have persisted for more than 1 year since first tic onset. C. Onset is before age 18 years. D. The disturbance is not attributable to the physiological effects of a substance or another medical condition. Merely a few decades ago, TS symptoms were thought to be caused by pent up, or “repressed” anger, and psychoanalysis was thought to be a productive form of treatment. Today many Tourette’s researchers instead think that Tourette’s represents some kind of malfunction in the neurological systems that ensure that necessary urges are properly attended to . It is now known that the disorder is neurological in etiology, rather than psychological, and symptom reduction can be achieved by modifying dopaminergic transmission. Medications and behavioral therapy are the most common forms of treatment . Although Tourette’s is the most severe of the tic spectrum disorders , most cases are relatively mild , and many cases probably go undiagnosed . The severity of tics decreases during adolescence and pronounced Tourette’s is relatively rare in adulthood . Furthermore, Tourette’s is thought by some to be continuous with normal human variation and all people are thought to be capable of movements that qualify for the “tic” label . Between 1 and 10 children per 1,000 have TS and additionally, as many as 10 per 1,000 have a tic disorder . This incidence exceeds a mere chance effect due to high mutation rates (1 in 1,000) and thus may be suggestive of past positive selection . Because TS has high prevalence and a very strong genetic component , the persistence of the polymorphisms involved suggests an origin in natural history. It presents with similar prevalence rates, worldwide  indicating that it was an established nosological entity before the first humans left Africa. Because it presents during the period of fertility we can assume that natural selection had the opportunity to select against these alleles. Yet, TS exists today as a relatively prevalent disorder. This amounts to an evolutionary enigma commensurate to the one identified for schizophrenia . The present opinion article will explore the possibility that the clinical manifestations of tic disorders may be associated, perhaps in low levels, with certain adaptive advantages in specific environments. It is certainly possible that natural selection may have only favored subclinical traits or been advantageous in low genetic penetrance in clinically unaffected relatives. Seizure activity, chorea, dystonia and myoclonus are other movement disorders that probably were not adaptive nor selected by evolution on the basis of their ability to adaptively alter behavior. Unlike tic disorders these movement disorders can be medical signs or symptoms, and are often precipitated by injury, drugs, or relatively rare medical disease states. Tic behavior is more complex, and may fit the adaptationist program as it has aspects of contextual responsivity and intentionality. The costs of TS are well known and include constrained mobility, occupational disability and psychological stress and suffering . The defensive value; however, may be hidden due to discrepancies between our modern and ancestral environments. Many traits that are known to have been adaptive in our ancestral environment are now seen as maladaptive in our present society, and this has been termed an “environmental mismatch” . The growing field of evolutionary medicine attempts to identify and explicate such mismatches. Researchers have shown that a large number of “pathological” conditions have compensating benefits and over time the literature has come to accept many of these as adaptive responses . Clinical states associated with adaptive properties include diabetes mellitus, diarrhea, fever, inflammation, obesity, sneezing, sickle cell anemia and vomiting . The literature emphasizes that disorders with evolutionary components work within physical constraints, and often involve functional compromises and tradeoffs. Following the pioneering work of Panksepp  there has been a movement to understand psychiatric disturbances in terms of the underlying evolutionary mechanisms. Many articles have analyzed various forms of psychopathology in terms of evolutionary medicine , and this area of research has been referred to as “evolutionary psychopathology.” Researchers in this field have concluded that there were probably multiple, alternative, cognitive strategies to deal with the problems and obstacles that recurred in our evolutionary past. Furthermore, they emphasize that individual differences in developmental patterns may not always represent disease, but in fact represent biological, naturally selected responses to pressing environmental concerns [17, 18]. Many articles in the last two decades have espoused this view and reconceptualized various forms of psychopathology as adaptive, cognitive syndromes that have ecological utility . These articles have given thoughtful treatments to disorders such as: anxiety, hypothesized to represent a careful, cautious strategy ; depression, a socially submissive strategy ; schizophrenia, a defensive, vigilant and impulsive strategy ; psychopathy, a socially selfish and opportunistic strategy ; and PTSD, a threat-avoidant strategy . Similarly, many “behavioral syndromes” have been discovered in mammalian species and are thought to represent adaptive responses to particular scenarios, despite the fact that they appear maladaptive when taken out of their ecological context . Williams and Nesse  suggest that in order to determine that a disorder or disease has adaptive qualities which were positively selected in the past, it is important to be able to show that the trait is relatively prevalent, heritable, and that susceptibility varies within a population. These are all true of TS. However, it is also necessary to show how the trait’s purported benefits may have outweighed the costs . It does not appear that individuals with TS would have suffered great hardships or had barriers to reproduction in the ancestral environment. Furthermore, Tourette’s does not adversely affect intelligence or life expectancy . Both children and adults with TS have been shown to be very psychologically hardy, and despite the frustrations associated with their symptoms, are surprisingly well-functioning in social, emotional and behavioral measures . In fact, they are remarkably similar to control children without TS on most psychosocial measures. This suggests that despite the accompanying physical limitations, TS may not necessarily have unduly hampered reproductive success due to psychological or motivational factors. Compensating benefits associated with Tourette syndrome have been reported in studies comparing individuals with TS to controls . Georgiou and researchers  found that patients with TS when tested in terms of kinematics were in certain respects more force efficient, compared to controls, and made fewer inefficient cycles of motoric acceleration and deceleration on complicated motor tasks. On average, individuals with TS perform behavioral tests of cognitive motor control more quickly and accurately than their typical developing peers do . Children with TS have exhibited a significant processing advantage in judging time intervals . Individuals with TS also exhibit enhanced levels of cognitive control over their oculomotor responses and increased performance is associated with tic severity . The study authors speculate  that the enhanced cognitive control of motor activity seen in TS patients may stem from the constant requirement to suppress tics; however, the enhancements may actually be inherent to TS. Individuals with TS have been reported to excel in certain types of competitive sports [5; 32]. Furthermore, it has been claimed that tics can allow improvisation and extemporization with musical instruments. Patients report that they are physically slower, less coordinated and have a diminished knack for repartee when they are on medicines that reduce ticcing  (although people without Tourette’s taking neuroleptics report this as well). There have not yet been any systematic research efforts aimed at delineating the motor advantages and deficits in individuals with TS, but further research may be illuminative. When an individual with TS stops making a conscious effort to suppress their symptoms, or if they become emotionally aroused, tics are more likely to emerge . Tics have been shown to decrease in frequency during concentration on an absorbing activity . Another aspect of tics is that even though they are often described as irresistible, they are typically consciously suppressible or at least able to be delayed. Touretters describe these “premonitory urges” as having properties akin to an itching sensation. Like the impulse to scratch an itch, tics can be inhibited but only with the expenditure of some degree of mental effort and restraint . Given the fact that they can be deliberately suppressed it seems clear that tics would not have compromised reproductive success and survival by bursting forth during extremely inopportune times. Many probands lose all noticeable manifestations of their Tourette’s when singing, dancing or acting and can remain tic free when moving rhythmically or continuously [33; 32]. Leckman and Cohen  ask, from the Darwinian viewpoint, whether there might be an advantage in having vulnerability to develop TS. They claim to have made clinical observations that TS patients have a “thinner barrier to stimulation,” and may have been more “aware of dangers” in the ancestral past. The present article will take another perspective and argue that a propensity for tics may have amounted to a form of restlessness that ensured that the individual remained physically and motorically integrated with their immediate environment. 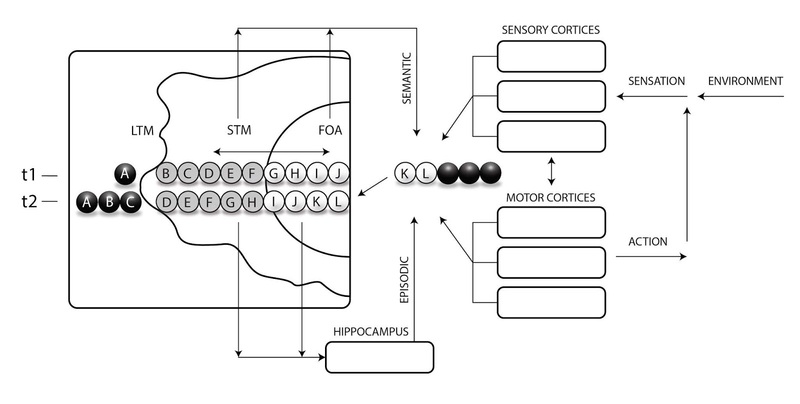 During periods of nonstop movement, and repetitive foraging motions it may have been advantageous to allow subcortical motor commands to intrude into ongoing motor activities. TS symptomatology may therefore exist on a continuum with two ends: one extreme involving simple, isolated motor tics and vocalizations which are largely irrelevant, seemingly arbitrary and a have the potential to be a nuisance. The other extreme perhaps involves rapid inventiveness, disinhibition of basal impulses, and unhesitating reactivity. Perhaps the isolated and inappropriate tics are a natural tradeoff that occurs when the threshold for activity of the basal ganglia is adaptively lowered. Ticcing disorders may descend from an environment when social propriety mattered far less than speedy reactions. Furthermore, in the ancestral past there may have been less social stigma on wild, loose behavior. Tics often appear as risqué, irreverent or even antisocial, but this may simply be because they are not filtered by the frontal lobe. Thus tics may merely be the striatum’s most appropriate associations untempered by forethought, tolerance, empathy or compassion. 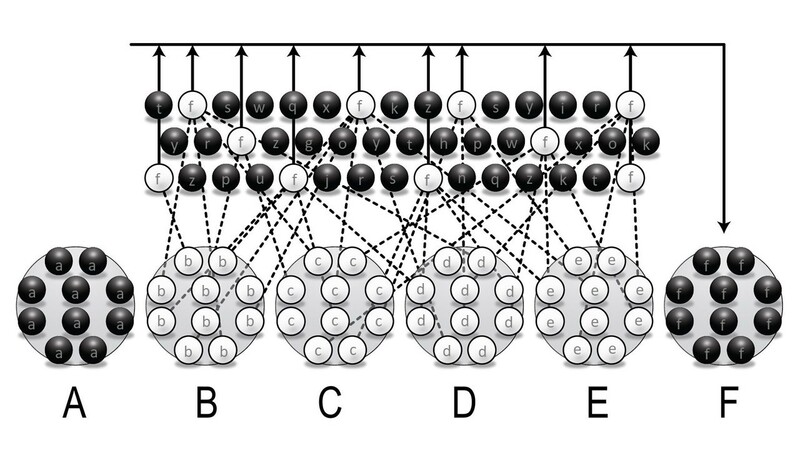 The mental instructions for discrete movements usually pass through a complex network of cognitive filters in the frontal cortex. The PFC normally either potentiates or inhibits the impulses originating from the dorsal striatum, permitting some and curtailing others. 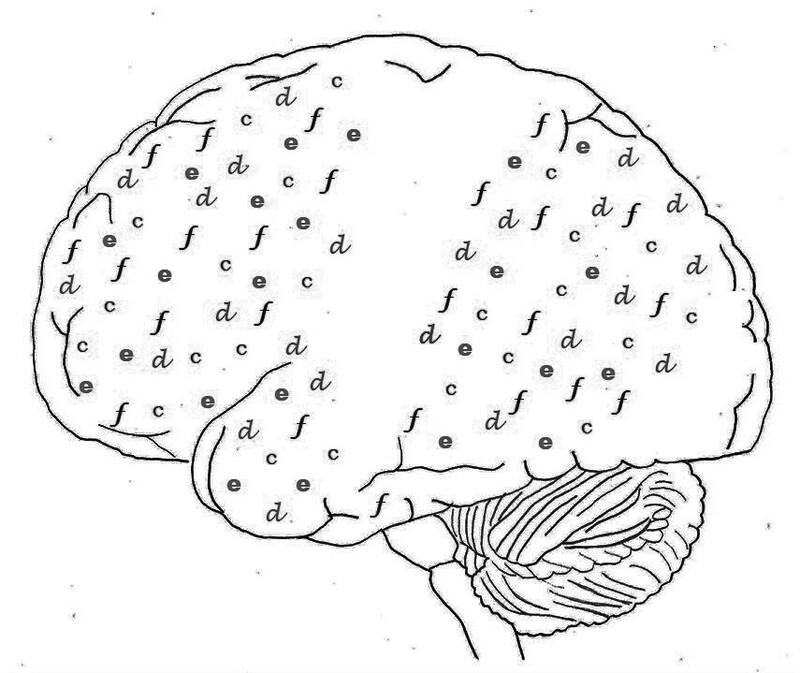 The putamen (which controls automatic movements previously learned by repetition) sends its instructions on to the premotor cortex which passes its activity on to the adjoining motor cortex. 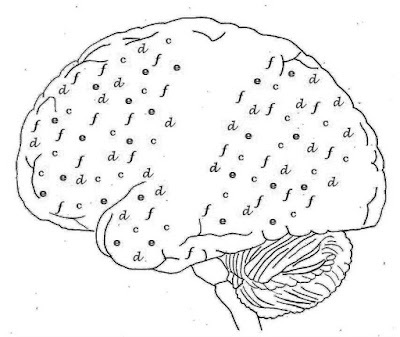 Normally inputs from prefrontal and premotor areas are combined and integrated with inputs from the dorsal striatum in this way, and are then sent to the motor cortex. The motor cortex delivers these motor programs to the muscles by way of the spine or cranial nerves. During tics, the frontal cortex fails to inhibit the caudate nucleus and putamen, structures which lie directly beneath it. In Tourette’s the putamen has been shown to be overactive. 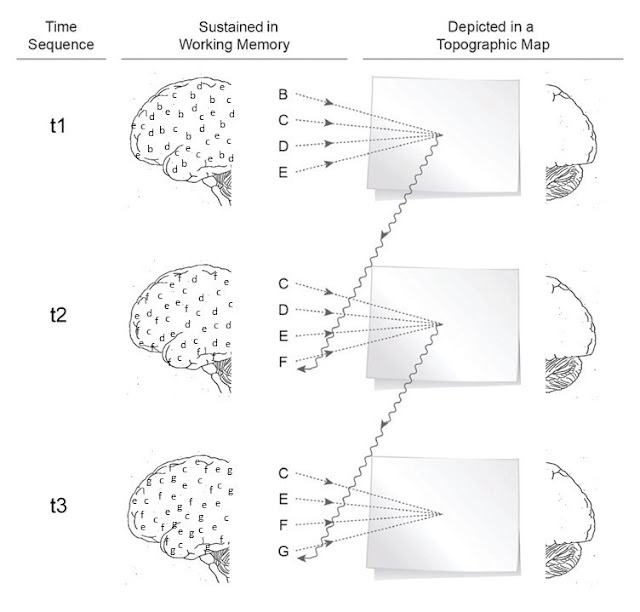 Furthermore, TS has been associated with lack of activity in three areas: 1) the dorsolateral prefrontal cortex (concerned with generating appropriate actions); 2) the left basal ganglia (concerned with the control of automatic movements; and 3) the anterior cingulated cortex (an area concerned with focusing attention on actions . The determinants of the selection of a motor plan come from either: 1) external environmental stimuli, or 2) internal stimuli. Engrams for specific motor plans are triggered in the striatum when they are converged upon by a set of inputs from cortical and subcortical areas, and activated above a certain threshold. The cooccurrence of a specific set of stimuli in the environment, or in internally generated thinking, will initiate a complex search function, characterized by spreading activation, to select the corresponding motor outputs . Thus, despite the fact that they may seem arbitrary, tics are actually chosen with high specificity. Today individuals with Tourette’s report feeling a sense of reward accompanying their ticcing actions. 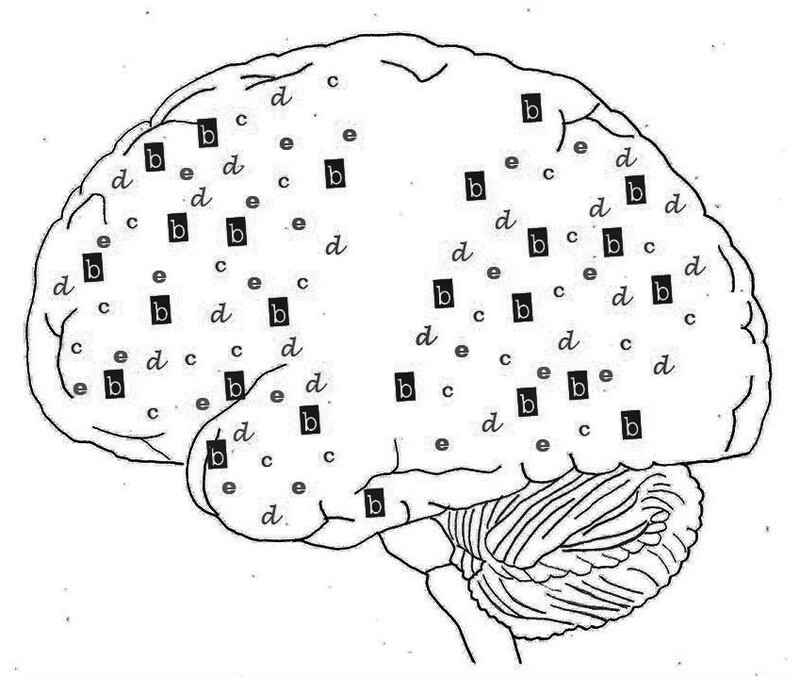 Reward is associated with high levels of dopamine release which is known to promote habit formation in the basal ganglia, increasing the frequency of the action. 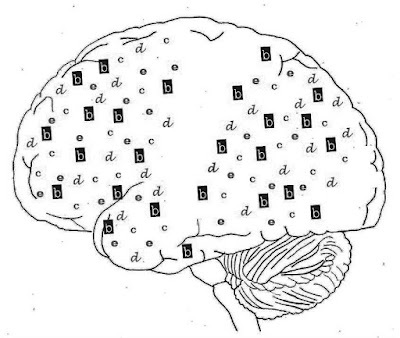 Thus dopamine serves to capture and reinforce striatal behaviors engraining these patterns as habitual tics . This process may leave individuals, especially those that are genetically predisposed to Tourette’s, to be vulnerable to maladaptive motor tics when contextually unnecessary responses are captured. In the prehistoric past humans were responsible for activities such as finding or making physical shelter, protecting their bodies from predators, and foraging for food. These activities determined their reinforcement schedule. Today we rarely do any of these things. What the basal ganglia found motivating in ancestral times, was probably very different from what it finds motivating today. In the ancestral past the motor plans that were converged upon may have been more likely to be advantageous movements rather than extraneous, idiosyncratic ones. In his book, The Triune Brain in Evolution , the late Paul MacLean describes the basal ganglia as the reptilian brain (also referred to as the archipallium or R complex). He describes how it can be taken to represent the dominant mediator of adaptive behavior in reptiles, amphibians and fish. He describes the basal ganglia, limbic system and neocortex as three different biological computers linked together, different in structure and chemistry, tens of millions of years apart in provenance, and each with its own representations of time, space, motor repertoire and subjectivity. He describes their functionality as intermeshing; independent but not autonomous. Much of his life’s work was dedicated to explicating how the basal ganglia is responsible for the largest proportion of behavior in nonmammalian vertebrates, their learned behaviors, tropistic behaviors, repetitive behaviors, social displays, species-specific master routines and individual-specific, idiosyncratic subroutines. The large size and vast integration of the basal ganglia in humans is clear evidence of its importance in human behavior. Perhaps it should not be surprising that the human gene pool produces phenotypes where this system is granted increased autonomy. The phenotypic characteristics of organisms ranging from plants to mammals have been shown to make various plastic responses to environmental stressors . Phenotypic plasticity is accomplished when environmental cues signal dormant genes to be expressed, or expressed genes to become silent in a process known as epigenetics. Stress has been shown to demand variant body types, behaviors, reproductive tactics, and life-history strategies. Epigenetic responses to chronic stress cause the mammalian brain to respond with a number of adaptive adjustments that increase vigilance, threat awareness, and physical responsivity [22,42]. Stressful environments probably put more pressure on animals to react quickly and efficiently . Most vertebrates, under times of severe or chronic stress, must use their muscles vigorously, and for sustained periods . It is known that after extended exposure to stress, higher-order cognitive brain areas are toned down relative to the areas responsible for reflexes, and the execution of coordinated, sequenced, or procedural movements . The documented association between stress and TS may suggest that stress causes the expression of genes that lead to increased ticcing behaviors, because tic-like behaviors may have been particularly adaptive in a stressful, or adverse environment. Psychogenic stress is known to exacerbate TS symptoms on the order of days, weeks and months. Psychological stress has been tied closely to early onset, and has been shown to precede flare-ups. Stress reliably accelerates TS disease progression and worsens symptoms . Tics have been known to increase in frequency as a result of stress, fatigue, and anxiety . Also ticcing disorders can be triggered during childhood by a traumatic event. Tic severity  and TS diagnosis  has been associated with maternal psychosocial stress during pregnancy. This strong association between TS and stress may suggest that an adverse or hostile environment may have favored tics. If TS constitutes a “predictive adaptive response” to stress then it should be informative for researchers to focus heavily on the molecular pathways that tie stress to TS exacerbation. Stress is strongly associated with basal ganglia upregulation in mammals from rats to humans. Memory is multifaceted and different facets are mediated by different brain areas. Explicit memory for movement supports consciously accessible knowledge, such as memory of what one just did or what one did yesterday, and this is mediated by the medial temporal lobe, in particular, by the hippocampus . Procedural or habit memory for movement, on the other hand, is responsible for simple stimulus-response associations such as the memory to stop a car when the light is red, and this is mediated by the caudate nucleus . 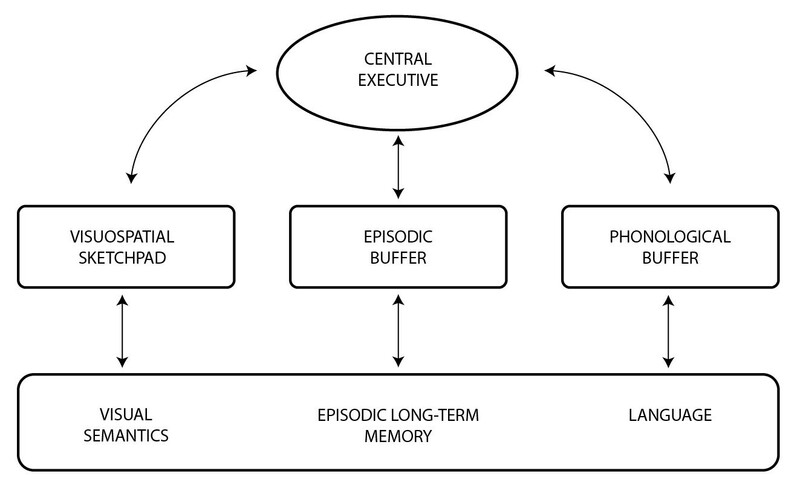 Hippocampus and caudate-based memory systems work in parallel and have been described as cooperative by some and competitive by others . Studies have found that chronic stress significantly increases activity in the caudate nucleus  and improves performance on simpler, habitual and/or well-rehearsed tasks [51; 52]. In both humans and rodents, chronic stress has been associated with a substantial decrease in the use of hippocampal dependent learning strategies and a dramatic increase in the use of caudate-based learning strategies . Combat veterans with PTSD, especially those that were using the caudate heavily in life-threatening situations (such as riflemen), exhibit hypertrophic caudate nuclei and atrophic hippocampi . It seems that a consequence of chronic stress is to shift away from explicit processing (PFC and hippocampus dependent) and toward rigid, stimulus-response, implicit processing (caudate and amygdala dependent) [55; 56]. Humans under intense chronic stress have been shown to exhibit improved simple reaction time , potentiated reflexes and increased speed for habitual movements . 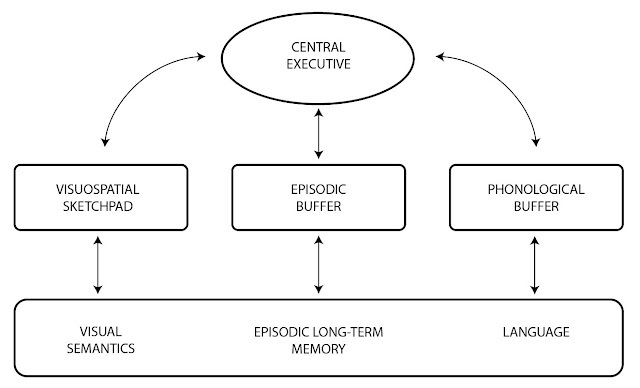 In fact, Vasterling and collaborators  suggest that this heightened behavioral reactivity may represent an evolutionarily-mediated neurobiological response to stress “in preparation for life-preserving action.” A similar type of behavioral disinhibition may have permitted TS individuals to react without deliberately reflecting on their decisions, helping them to escape harm and attain resources quickly and without hesitation. It seems possible that TS is an evolved phenotype, intended to adopt a different life-history strategy that allowed affected individuals to react quickly without the normal inhibitory pressures on their reflexes and natural instincts. The present article concludes that it is plausible that the genes that predispose people to Tourette syndrome, and the spectrum of tic disorders, may have been naturally selected for their role in rapid physical responding. Tics have been conceptualized here as automatic selections from lower brain centers about appropriate tactical movements. This may be associated with the compensating benefits enumerated in Figure 1. Tic and tic-like behaviors were probably only adaptive in certain contexts. The intrusion of tics may have been most adaptive when they were incorporated into an ongoing series of movements. Tics that emerged as isolated and discrete movements, when no other behaviors were being performed, or that were not applied to physical objects in the environment may have been less likely to be adaptive. In other words, tics may have been useful, during more active times, as integrated adjustments to ongoing motor behavior. The statistical age of highest tic severity is typically between eight and twelve, with most individuals experiencing declining tic severity as they reach adolescence. . In many cases, a complete remission of tic symptoms occurs after adolescence [60, 61]. Why would this epidemiological pattern be so widespread? Is it possible that tic-like behavior is part of a learning arc, benefiting children by helping them to refine movement, coordination, and motor praxis? It will be difficult to determine irrefutably if what we know as TS was in fact an adaptive condition in the ancestral past. The hypothesis presented here is largely exploratory, and underspecified, in part due to the paucity of related research. The present article has made untested assumptions about stress-ecology and the nature of striatal cognition in the wild. It can perhaps be argued that TS and other tic disorders in general have no adaptive qualities. Most common tics observed in modern populations would probably amount to handicaps in an ancestral environment. They might make an individual unattractive to potential mates, betray one’s location to a predator. and waste valuable energy. Common tics like toe crunching, throat clearing, and abdominal tensing would probably have been useless for prehistoric foragers that exhibited them. Moreover, the present hypothesis offers no explanation for chronic tics. However, this type of exploratory writing is generally thought to be progressive as it is well known that analyzing disease states from an evolutionary perspective can integrate seemingly unrelated findings, elucidate pathophysiology, and ultimately refocus clinical research and treatment strategy. Comparative behavior and neurophysiology could provide insight. Perhaps other species have an equally low but consistent prevalence of ticcing phenotypes as well. It would be interesting to see if there are analogues, or possibly homologues of TS in other species. If there were homologues of TS in species closely related to humans, it would be relatively easy to use molecular techniques to show this given that the genes responsible could be identified. Looking at the evolutionary signatures in the behavioral genetics of TS, might tell us more about its possible role as an adaptation. Further kinematic and biomechanic studies comparing individuals with TS to controls on measures of fluidity, efficiency and speed could help to determine what kinesiological advantages TS individuals have if any. It is possible that today tics are often not contextually relevant because of the artificial nature of the modern environment. Caudate hyperactivity in the ancestral past may have led to the potentiation of important procedural and habitual movements, increasing reliance on action patterns that had proven effective. In modern society it may simply lead to the intrusion of eccentric responses. The existence of TS may represent natural human variation and may demonstrate that sometimes it was adaptive to allow the basal ganglia and its procedural memories to dominate behavior uninhibited. 2. Schapiro NA. "Dude, you don't have Tourette's:" Tourette's syndrome, beyond the tics. Pediatr Nurs. 2002 May–Jun;28(3):243–6, 249–53. 3. Singer HS. "Tourette's syndrome: from behaviour to biology". Lancet Neurol. 2005 Mar;4(3):149–59. 4. Robertson MM. 2000 "Tourette syndrome, associated conditions and the complexities of treatment." Brain. 123 (3):425–462. 5. Scahill L, Williams S, Schwab-Stone M, Applegate J, Leckman JF. "Disruptive behavior problems in a community sample of children with tic disorders". Adv Neurol. 2006;99:184–90. 6. Leckman JF, Bloch MH, King RA, Scahill L. 2006. "Phenomenology of tics and natural history of tic disorders". Adv Neurol. 99:1–16. 7. Du JC, Chiu TF, Lee KM, et al. "Tourette syndrome in children: an updated review". Pediatr Neonatol. 2010 Oct;51(5):255–64. 8. Huxley J, Mayr E, Osmond H, Hoffer A. Schizophrenia as a genetic polymorphism. Nature 1964;204:220–1. 9. Swain JE, Scahill L, Lombroso PJ, King RA, Leckman JF. "Tourette syndrome and tic disorders: a decade of progress". J Am Acad Child Adolesc Psychiatry. 2007 Aug;46(8):947–68. 10. Brüne M. Schizophrenia-an evolutionary enigma? Neurosci. Biobehav. Rev. 2004; 28(1): 41-53. 11. Singer HS. "Tourette syndrome and other tic disorders". Handb Clin Neurol. 2011;100:641–57. 12. Nesse R, Williams G. Why We Get Sick. New York: Random House; 1995. 13. Nesse R, Williams G. Evolution and the origins of disease. 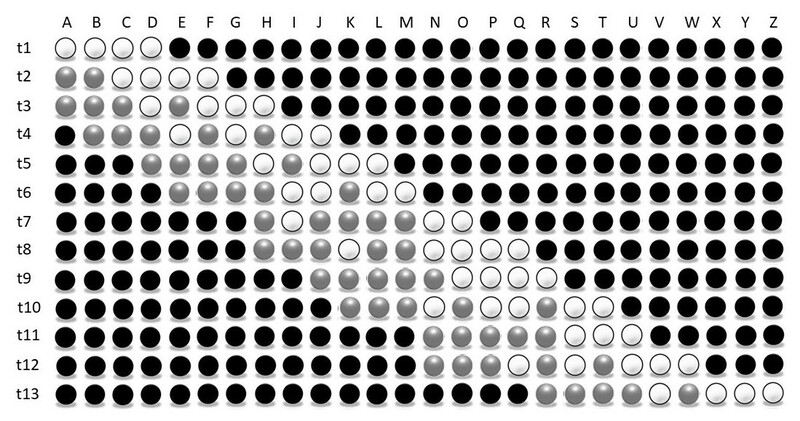 Sci Am 1998; 279: 58-65. 14. Nesse, R. What Darwinian medicine offers psychiatry. In: Trevathan W, Smith E, McKenna J, editors. Evolutionary Medicine. Oxford: Oxford University Press; 1999. 15. Panksepp J. Emotional endophenotypes in evolutionary psychiatry. Progress Neuro-Psychopha. 2006, 30: 774-84. 16. Baron-Cohen S. The maladapted mind: Classic readings in evolutionary psychopathology. Hove, East Sussex: Psychology Press; 1997. 17. Reser, JE. 2011. Conceptualizing the autism spectrum in terms of natural selection & natural history: The solitary forager theory. Evolutionary Psychology. 9(2): 207- 238. 18. Reser, JE. 2014. Solitary mammals provide an animal model for autism spectrum disorders. Journal of Comparative Psychology. 128(1): 99-113. 19. Sih A, Bell A, Johnson J. 2004. 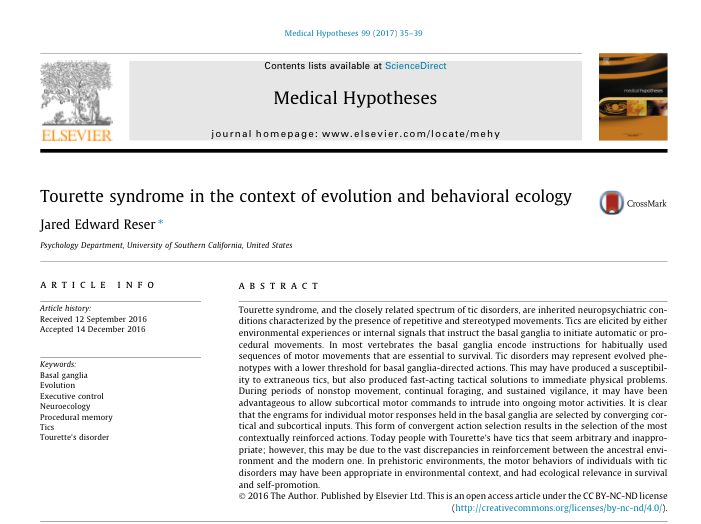 Behavioral syndromes: an ecological and evolutionary overview. Trends in ecology and evolution. 19, 7: 372-378. 20. Marks, I.M., and Nesse, R.M. (1994). Fear and fitness: An evolutionary analysis of anxiety disorders. Ethology and Sociobiology, 15, 247-61. 21. Allen, N.B., and Badcock, P.B.T. (2006). Darwinian models of depression: A review of evolutionary accounts of mood and mood disorders. Progress in NeuroPsychopharmacology, 30, 815-826. 22. Reser, JE. 2007. Schizophrenia and phenotypic plasticity: Schizophrenia may represent a predicitive, adaptive response to severe environmental adversity that allows both bioenergetic thrift and a defensive behavioral strategy. Medical Hypotheses, Volume 69 (2): 383-394. 23. Brune, M., and Brune-Cohrs, U. (2006). 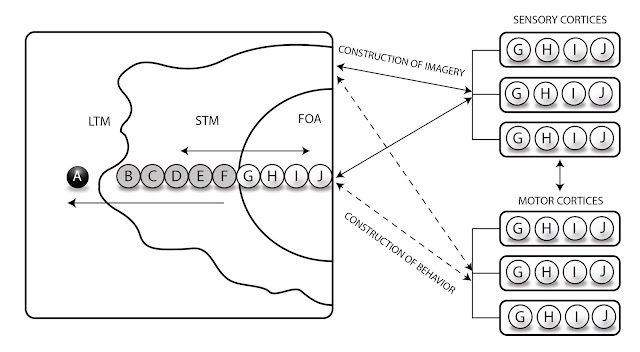 Theory of mind-evolution, ontogeny, brain mechanisms and psychopathology. Neuroscience and Biobehavioral Reviews, 30, 437-455. 24. Bracha, H.S., and Maser, J.D. (2008). Anxiety and posttraumatic stress disorder in the context of human brain evolution: A role for theory in DSM-V? Clinical Psychology: Science and Practice, 15, 91-97. 25. Williams G. Nesse R. The Dawn of Darwinian Medicine. Q Rev Biol 1991;66:1-22. 26. Bloch M, State M, Pittenger C. "Recent advances in Tourette syndrome". Curr. Opin. Neurol. 2011 Apr;24(2):119–25. 27. Georgiou N, Bradshaw JL, Phillips JG, Cunnington R, Rogers MA. 1997. Functional assymetries in the movement kinematics of patients with Tourette’s syndrome. Journal of Neurology. Neurosurgery and Psychiatry, 63: 188-195. 28. Jackson SR, Parkinson A, Jung J, Ryan SE, Morgan PS, Hollis C, and Jackson GM. 2011. Compensatory Neural Reorganization in Tourette Syndrome. Current Biology. 21(7): 580-585. 29. Vicario CM, Martino D, Spata F, Defazio G, Giacche R, Martino V, Rappo G, Pepi AM, Silvestri PR, Cardona F. 2010. Time processing in children with Tourette’s syndrome. Brain and Cognition. 73: 28-34. 30. Mueller SC, Jackson GM, Halla R, Datsopoulos S, Hollis CP. 2006. Enhanced cognitive control in young people with Tourette’s syndrome. Curr. Biol. 16, 570-573. 31. Jackson GM, Mueller SC, Hambleton K, Hollis CP. 2007. Enhanced cognitive control in Tourette syndrome during task uncertainty. Exp Brain Res. 182, 357-364. 32. Tourette Syndrome Association press release, July 25, 2003. Soccer Goalie with Tourette Syndrome Gains International Attention as Role Model. Retrieved from May 31, 2009 archive.org version on December 21, 2011. 33. Sacks O. An Anthropologist on Mars. Knopf, New York, 1995. 34. Doran, Morton L. The Tourette Syndrome Association, Inc., Connecticut Chapter 1998 Educators' Conference; 1998 Nov 6; Danbury, CT.
37. Moriarty J, Costa DC, Schmitz B, Trimble MR, Robertson MM. 1995. Brain perfusion abnormalities in Gilles de la Tourette’s syndrome. British Journal of Psychiatry 167 (2):249-254.). 38. Reser, JE. 2016. Incremental change in the set of coactive cortical assemblies enables mental continuity. Physiology and Behavior. 167: 222-237. 40. MacLean PD. 1990. The Triune Brain in Evolution: Role in Paleocerebral Functions. Plenum Press. New York, NY. 41. Pigliucci M. 2001. Phenotypic Plasticity: Beyond Nature and Nurture. John Hopkins University Press, Baltimore. 42. Reser JE. 2016. Chronic stress, cortical plasticity and neuroecology. Behavioral Processes. 129: 105-115. 43. Reeder DM, Kramer KM. (2005). Stress in free-ranging mammals: Integrating physiology, ecology, and natural history. Journal of Mammology 86(2):225-235. 44. Sapolsky RM. 1994. Why Zebras don’t get ulcers. Henry Holt and Company, New York NY. 45. Leckman JF, Dolnansky ES, Hardin MT, Clubb M, Walkup JT, Stevenson J, Pauls DL. 1990. Perinatal factors in the expression of Tourette’s syndrome: An exploratory study. Journal of the American Academy of Child and Adolescent Psychiatry. 29(2): 220-226. 46. Motlagh MG, Katsovich L,Thompson N, Lin H, Kim Y, Scahill L, Lombroso PJ, King RA, Peterson BS, Leckman JF. 2010. Severe psychosocial stress and heavy cigarette smoking during pregnancy: an examination of the pre- and perinatal risk factors associated with ADHD and Tourette syndrome. European Child & Adolescent Psychiatry. 19(10): 755-764. 47. Eichenbaum H. 2004. 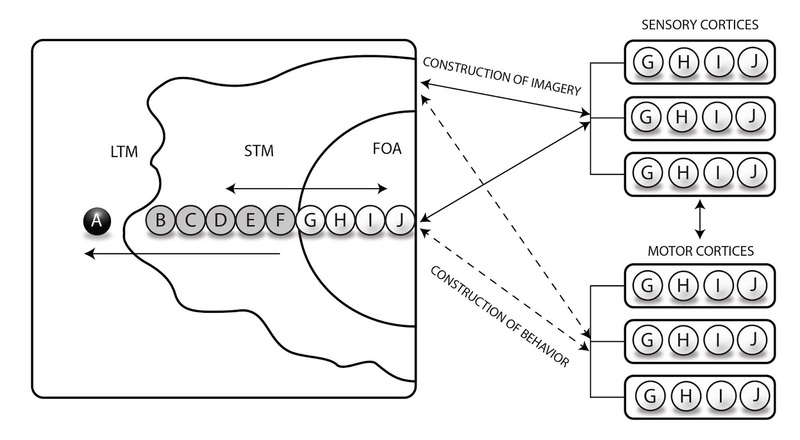 Hippocampus: Cognitive processes and neural representations that underlie declarative memory. Neuron, 44, 109-120. 48. Jog MS, Kubota Y, Connolly CI, Hillegaart V, Graybiel AM. 1999. 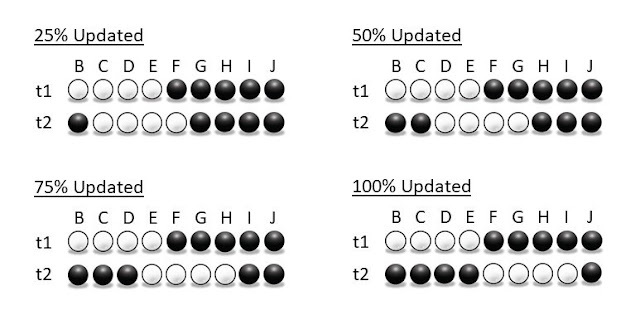 Building neural representations of habits. Science, 286, 1745-1749. 49. Voermans NC, Petersson KM, Daudey L, Weber B, van Spaendonck KP, Kramer HPH. 2004. Interaction between the human hippocampus and the caudate nucleus during route recognition. Neuron, 43, 427-435. 50. Kim JJ, Lee HJ, Han JS, Packard MG. 2001. Amygdala is critical for stress-induced modulation of hippocampal long-term potentiation and learning. J. Neurosci. 21, 5222-5228. 52. Hartley, L. R. & Adams, R. G. Effect of noise on the Stroop test. J. exp. Psychol. 102, 62–66 (1974). 53. Schwabe L, Dalm S, Schachinger H, Oitzl MS. 2008. Chronic stress modulates the use of spatial and stimulus-response learning strategies in mice and man. Neurobiol. Learn. Mem. 90, 495-503. 54. Bremner, JD. 1999. Does stress damage the brain? Biological Psychiatry. 45(7): 797-805. 55. Arnsten, A. F. T. The biology of feeling frazzled. Science 280, 1711–1712 (1998). 56. Elliott, A. E. & Packard, M. G. Intra-amygdala anxiogenic drug infusion prior to retrieval biases rats towards the use of habit memory. Neurobiol. Learn. Mem. 90, 616–623 (2008). 57. Vasterling JJ, Proctor SP, Amoroso P, Kane R, Heeren T, White RF. 2006. Neuropsychological outcomes of army personnel following deployment to the Iraq war. JAMA 296(5) 519-529. 58. Vedhara K, Hyde J, Gilchrist ID, Tytherleigh M, Plummer S. 2000. Acute stress, memory, attention and cortisol. Psychoneuroendocrinology. 25(6):535-549. Swain JE, Scahill L, Lombroso PJ, King RA, Leckman JF. "Tourette syndrome and tic disorders: a decade of progress". J Am Acad Child Adolesc Psychiatry. 2007 Aug;46(8):947–68. Leckman JF, Zhang H, Vitale A, et al. "Course of tic severity in Tourette syndrome: the first two decades. (PDF). Pediatrics. 1998;102 (1 Pt 1):14–19. Burd L, Kerbeshian PJ, Barth A, et al. "Long-term follow-up of an epidemiologically defined cohort of patients with Tourette syndrome". J Child Neurol. 2001;16(6):431–37.